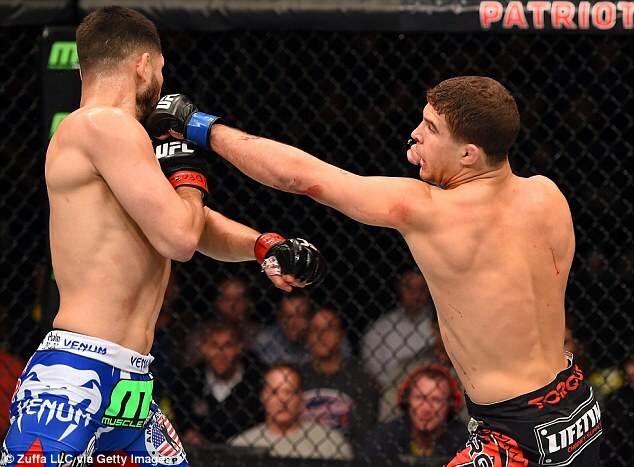 Iaquinta enters the contest following a split decision win over Jorge Masvidal. Raging Al (12-3-1) enters the fight on a four fight win streak, three of which by knock out. Iaquinta received more attention after a hard fought victory agaisnt Masvidal for his comments following the fight in Fairfax Virginia. Fans booed the decision and Iaquinta was, well let’s just say less then thrilled with the reception. This will be his next opportunity for Al to fight in front of a big crowd since that occurred. Bobby Green(23-6) comes off a loss in one of the toughest tests of his career following a unanimous decision loss to Edson Barboza. Following the loss Green hadn’t suffered defeat in eight contests. He’s most recently coming off a bicep injury that pulled him out of UFC Fight Night 63. A great fight between two fighters looking to break into the top 10 in the division on a rare Wednesday Fight Night. As always be sure to check here for news, articles, and much more on Raging Al. Follow Al on Twitter as he prepares for his upcoming fight. Cant wait for Als next fight hopefully this time it will be a knockout. Your fans in Kenosha Wi are always proud of you no matter what the out come. Greens just trying to trick you to fight his fight. Dont fall into his trap. Screw what he says or you stand a very good chance of loosing. Green has better stand up and more power than you. Confuse this punk, tire him out, rough him up against the cage, wear out his arms and legs. Please try to fight him smart, the way GSP fights. Could UFC fighter Al-Iaquinta be a character created and played by the same actor that we all know by the name of Shia LaBeouf ?? ?